A single safety pin has the potential to jeopardise an entire space shuttle mission. That is why occupational safety and health is non-negotiable in space, says retired Spanish-American astronaut Michael Lopez-Alegria. 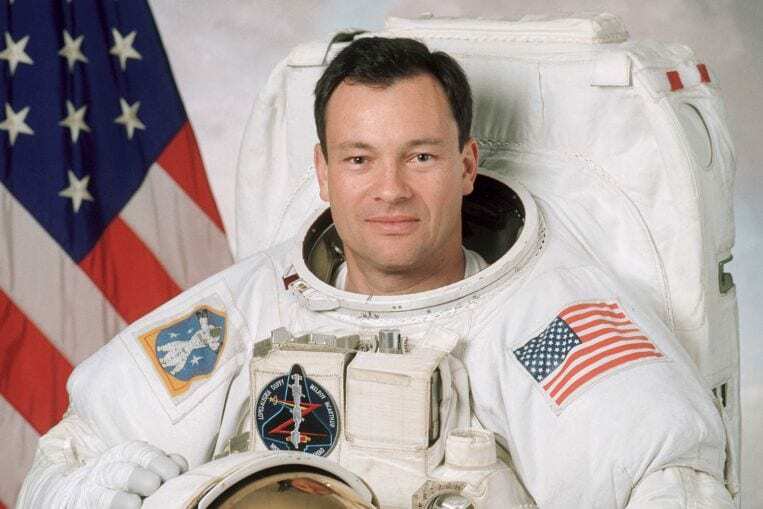 He certainly knows a thing or two about safety in the most dangerous situations having been a former naval aviator who also went on four spaceflights, logged more than 257 days in space and performed 10 spacewalks. He was speaking ahead of next week’s 21st World Congress on Safety and Health at Work in Marina Bay Sands, where he will be a keynote speaker. It is the first time that the meeting – started by the International Labour Organisation and the International Social Security Association (ISSA) in 1955 – is being hosted in South-east Asia. He recalls that incident involving the offending pin: “Just before the third launch attempt of space shuttle mission STS-92 in October 2000, the Ice Team – those charged with physically inspecting the launch vehicle after it has been fuelled with cryogenic hydrogen and oxygen – spotted a safety pin that had fallen onto part of the orbiter structure. It was a pain, but a necessary one, says Mr Lopez-Alegria, who is now an independent consultant to traditional and commercial spaceflight companies. “As a result of the delayed launch, resources were wasted, but this incident showed the importance of how workplace safety is treated as a priority,” he adds. The seasoned spacewalker notes how Nasa has myriad processes, from education to tool control, hazard analysis, and specific presentation of safety anomalies to formal safety review boards, which was what saved the day. He stresses: “Nasa has been employing many of the principles of Vision Zero long before there was a name for it.” He retired from Nasa in March 2012. Vision Zero is a global strategy for health, safety and well-being, where it is about cultivating the mindset that all injuries and ill health at work are preventable and zero harm is possible, and seeking solutions. ISSA president Joachim Breuer says Vision Zero will be one of the key points of discussion at the World Congress. Technology can also play a part in the Vision Zero mindset of prevention, says Mr Lopez-Alegria. Referring to the 2003 tragedy, when space shuttle Columbia disintegrated 60km from Earth and seven astronauts on board died, he notes: “The Columbia disaster demonstrated that the leading edge of the shuttle’s wings were vulnerable to impact from launch debris (ice). Looking back, the former astronaut says the No. 1 lesson that can be applied across all industries – when it comes to Vision Zero and workplace safety – is “the importance of having an institutional safety culture that permeates the entire organisation”.